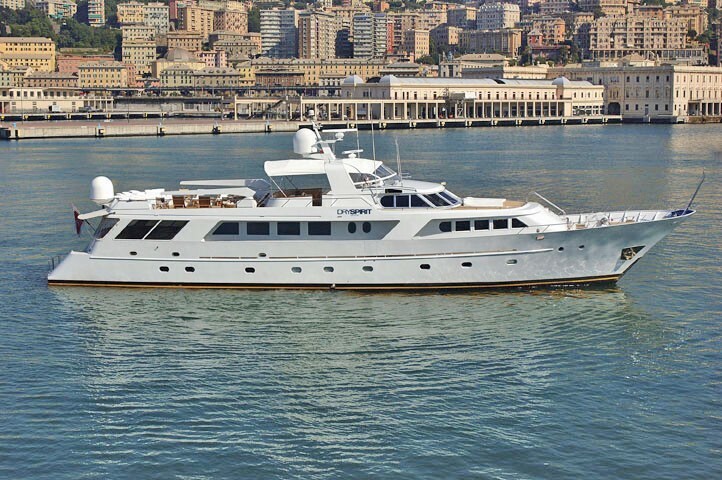 Luxury Motor Yacht INDIA (ex Dry Spirit), was launched by the famous Italian shipyard Benetti in 1982 and completed a refit in 2013/2015. 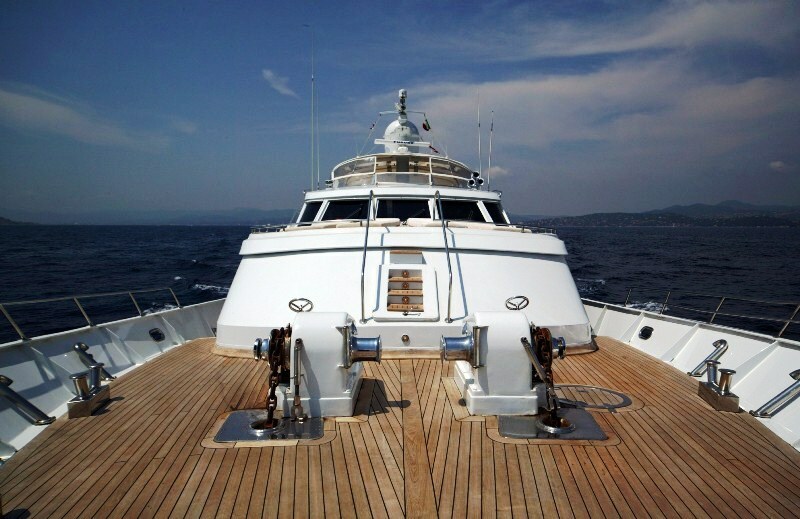 INDIA measures 35.4 meters (116.1ft) and is powered by twin 425hp Caterpillar engines so she cruises comfortably at 11 knots. 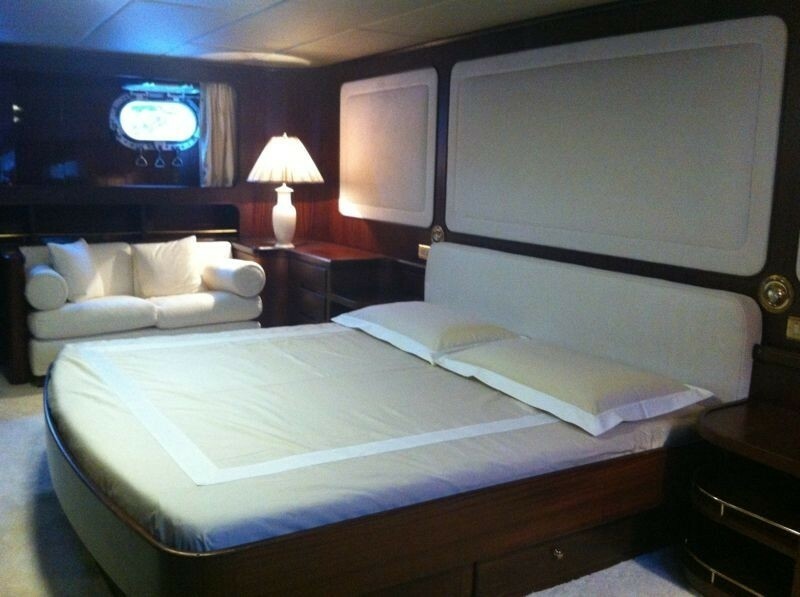 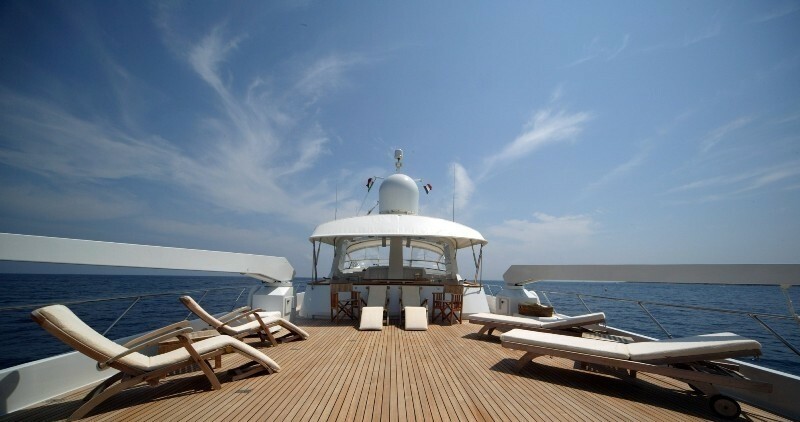 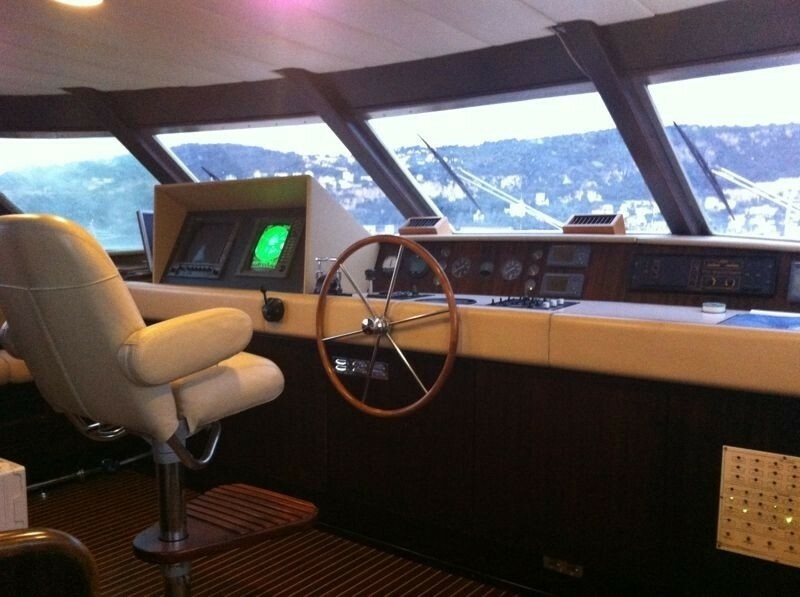 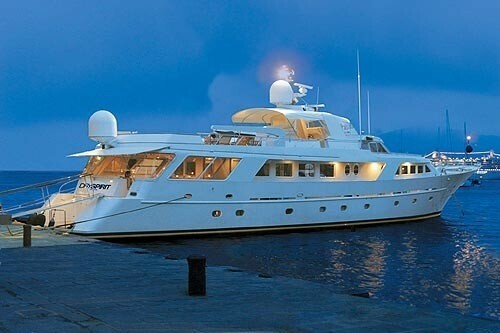 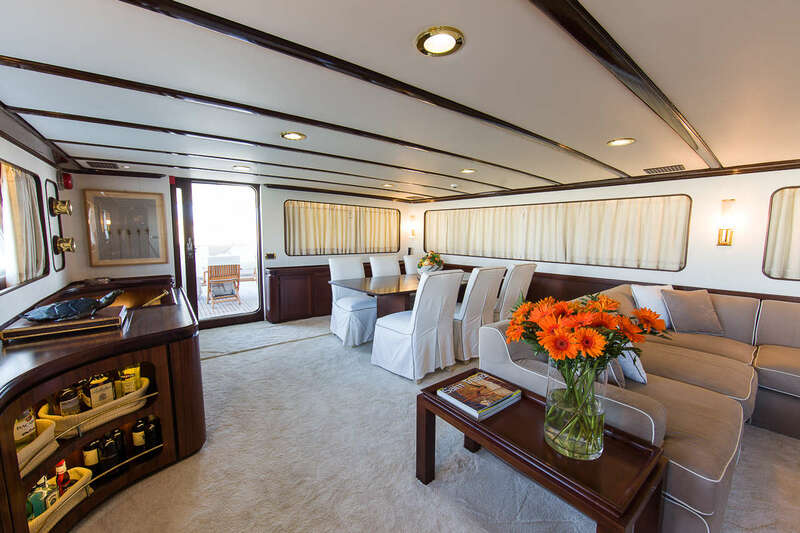 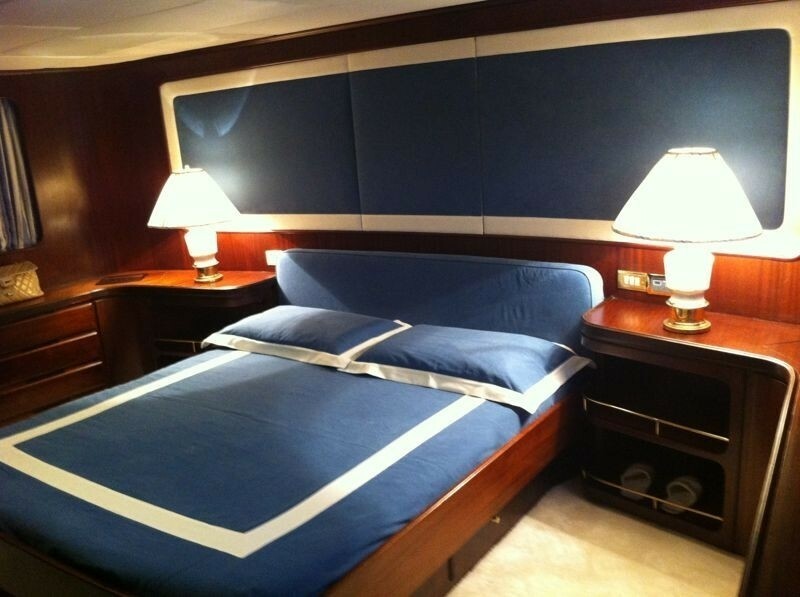 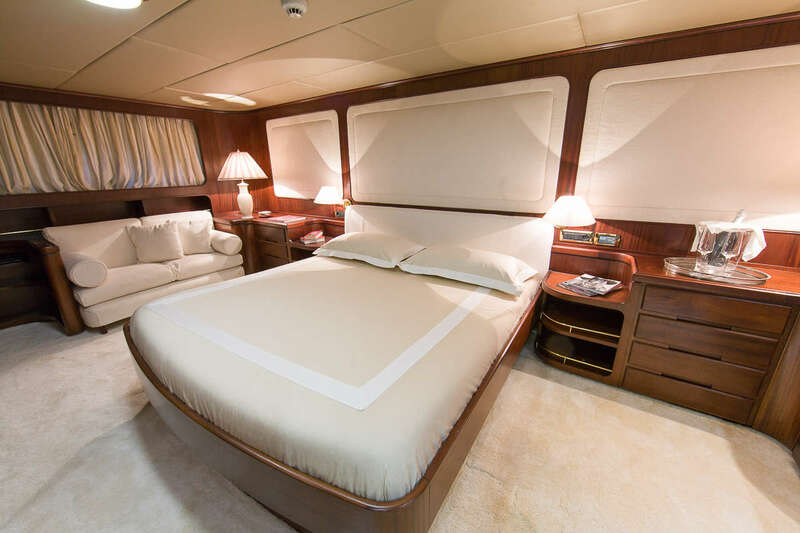 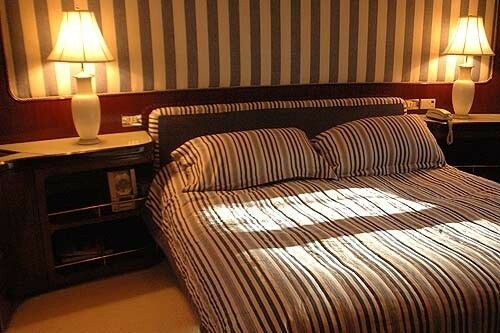 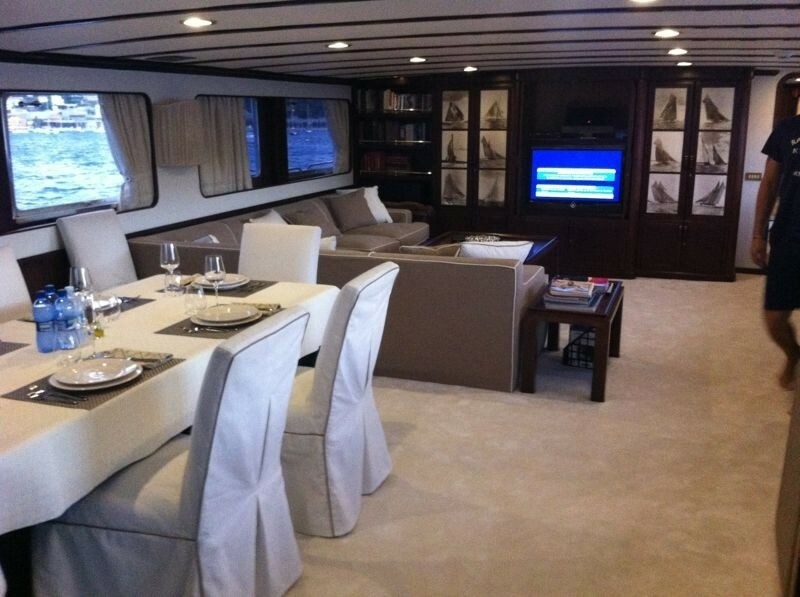 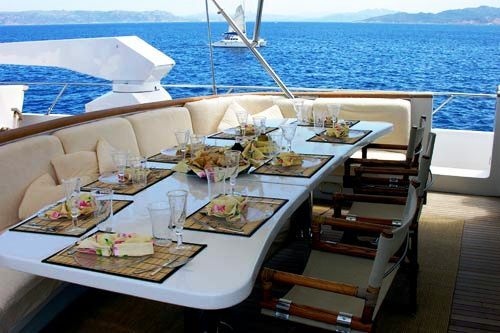 Motor Yacht INDIA can accommodate up to 10 charter guests in 4 deluxe cabins. 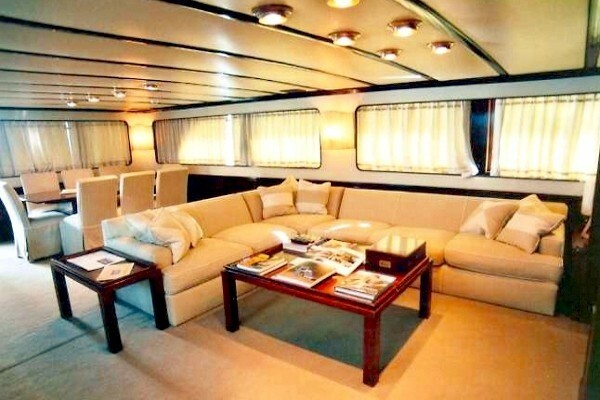 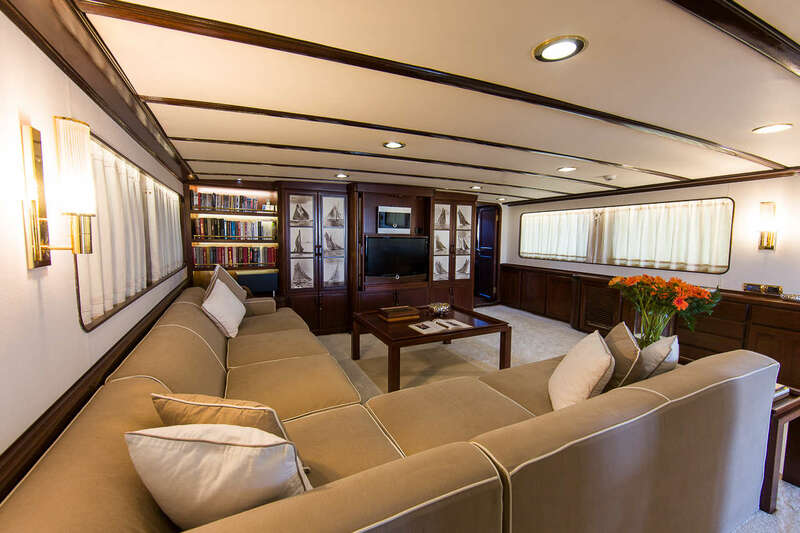 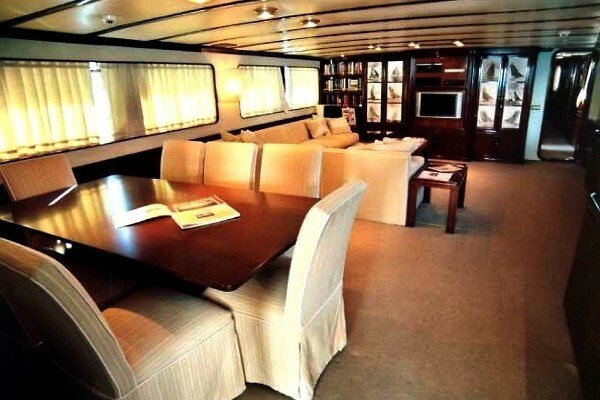 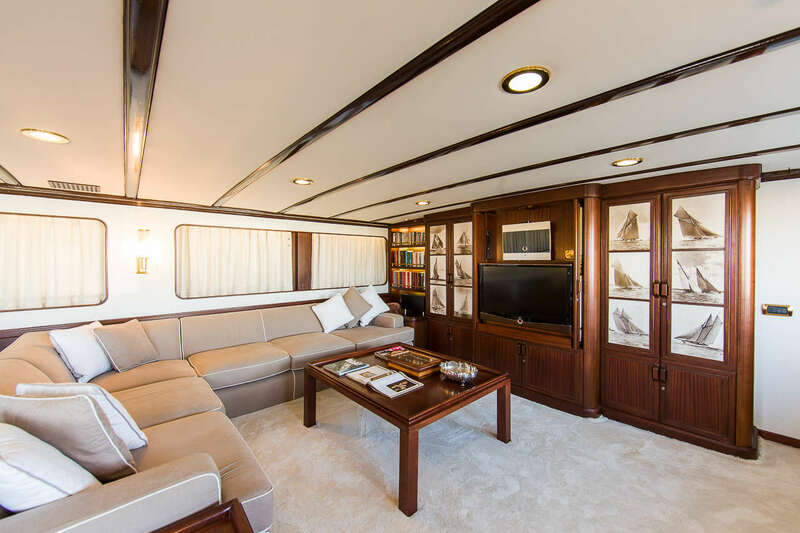 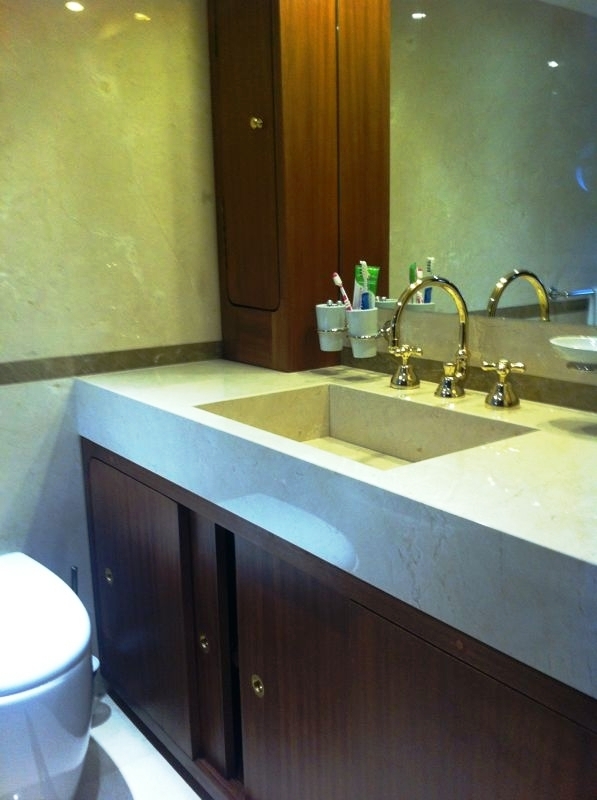 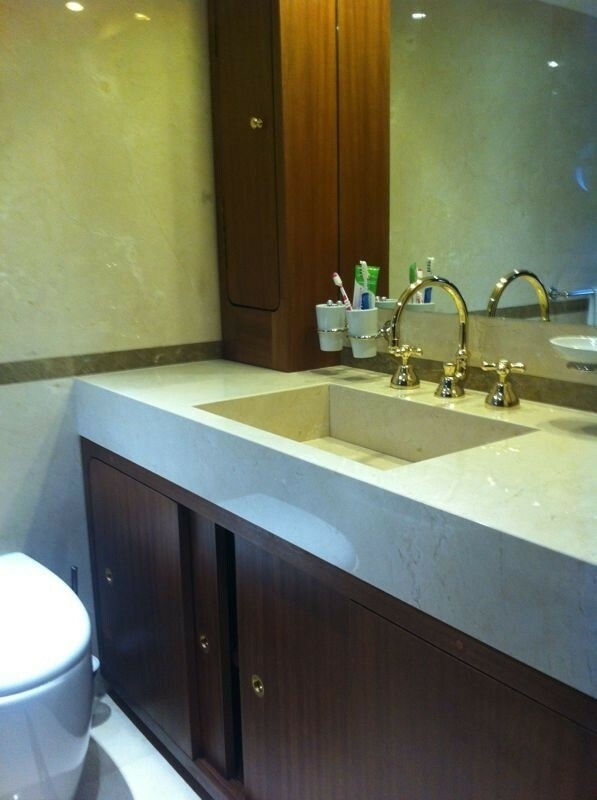 Motor Yacht INDIA offers ample space both indoors and out. 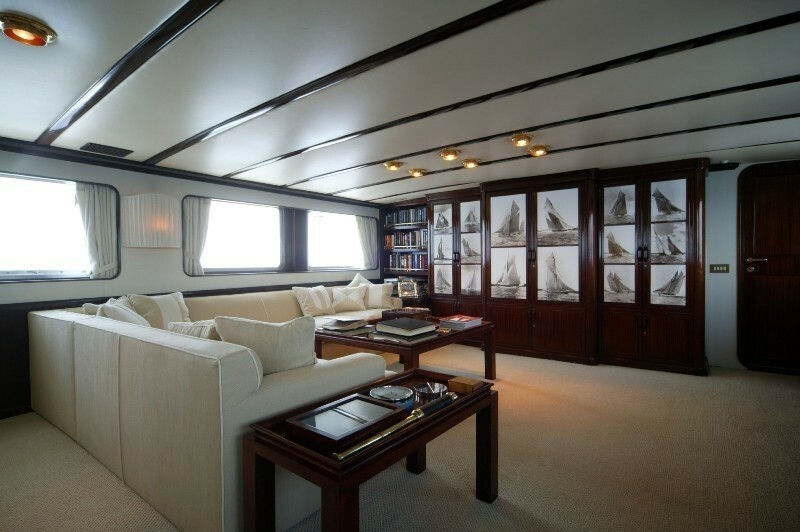 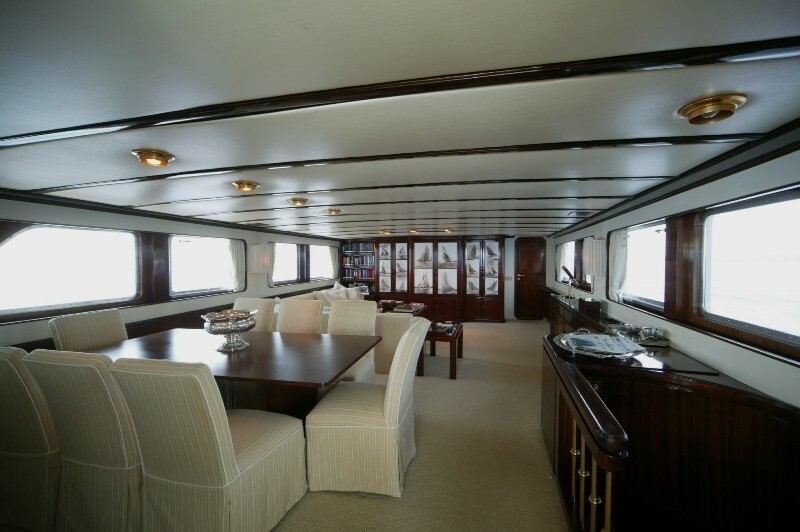 Entering from the large shaded aft deck, the salon and dining are an open plan with an elegant neutral decor. 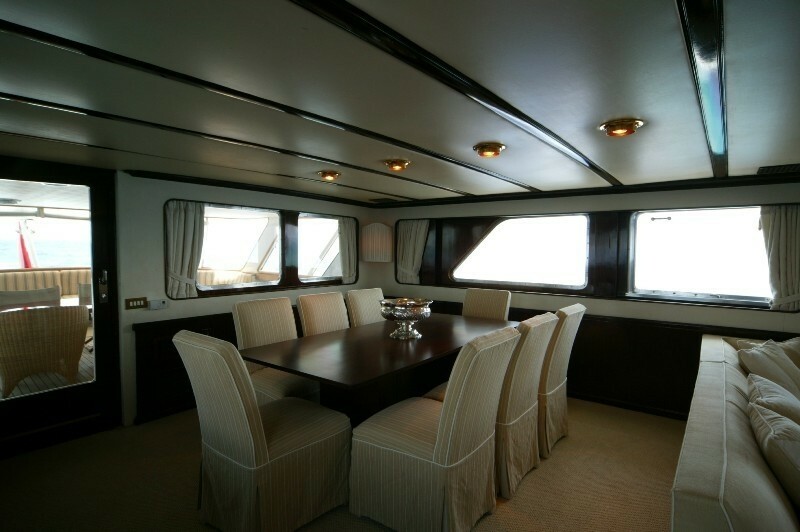 The formal dining table seats guests in style, while forward of the dining room, the lounge area offers a large L shaped sofa, coffee table and entertainment system. 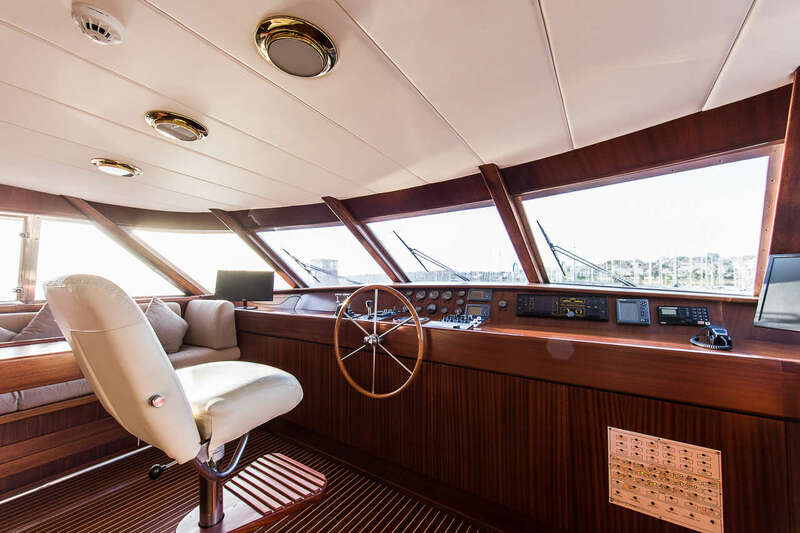 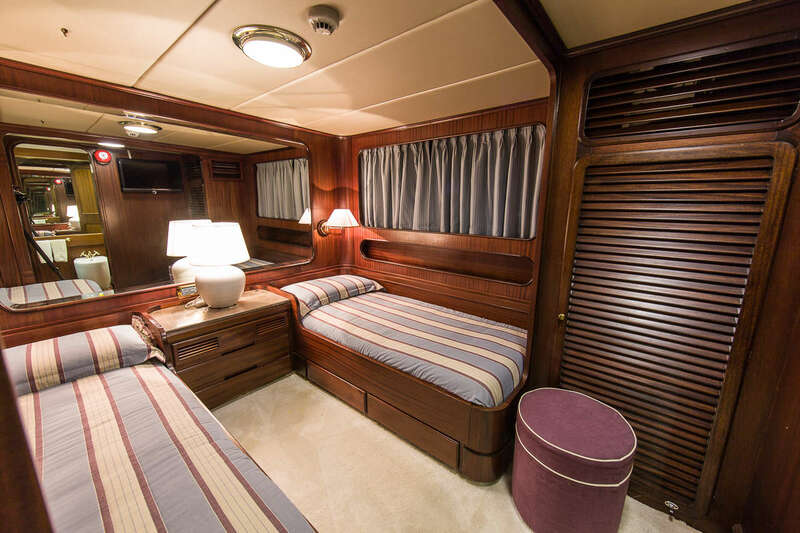 Yacht INDIA enjoys generous exterior living on her 2 ample teak decks. 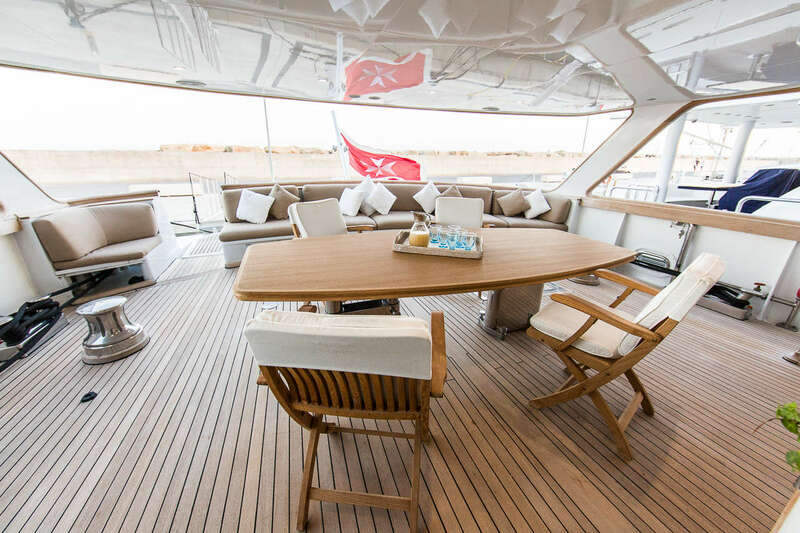 The aft deck is shaded and offers an alfresco dining option, massive outdoor sofa and easy access to the custom built extended swim platform. 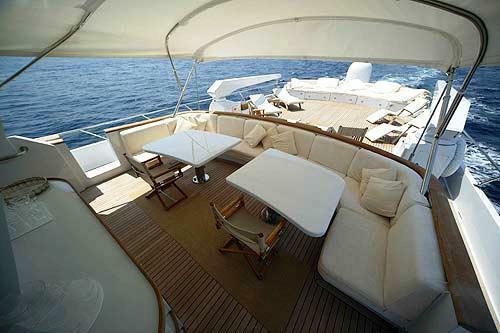 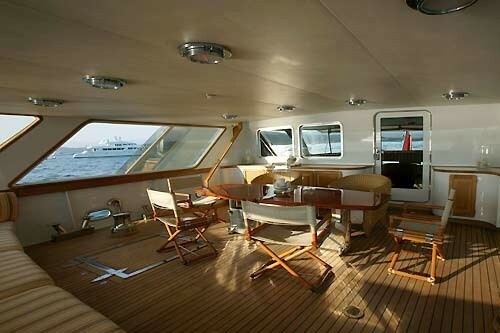 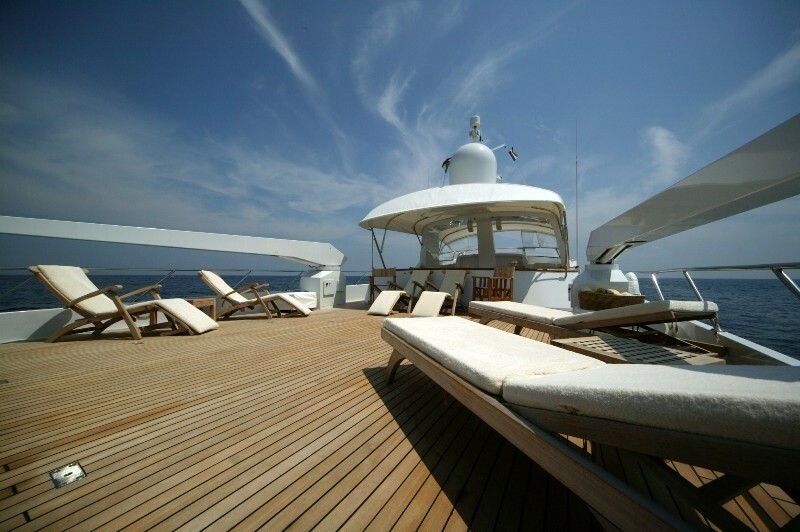 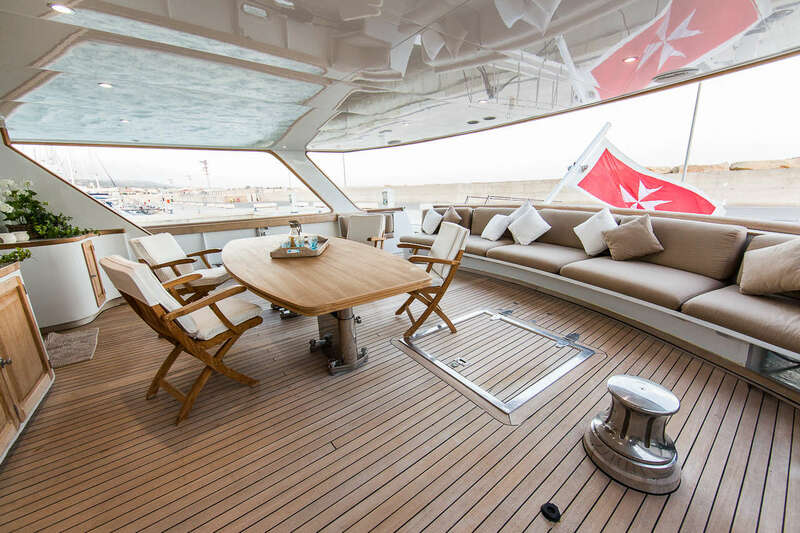 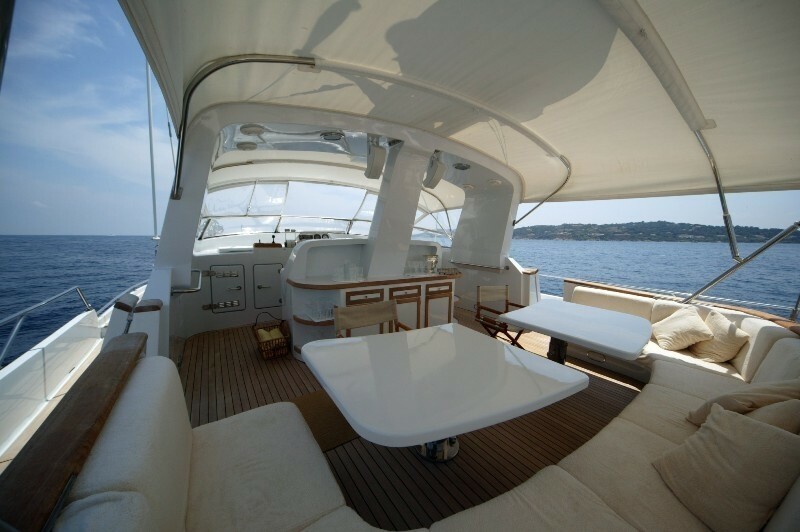 Port and starboard side decks lead to the foredeck where a raised sunpads invite guests to relax and enjoy the views. 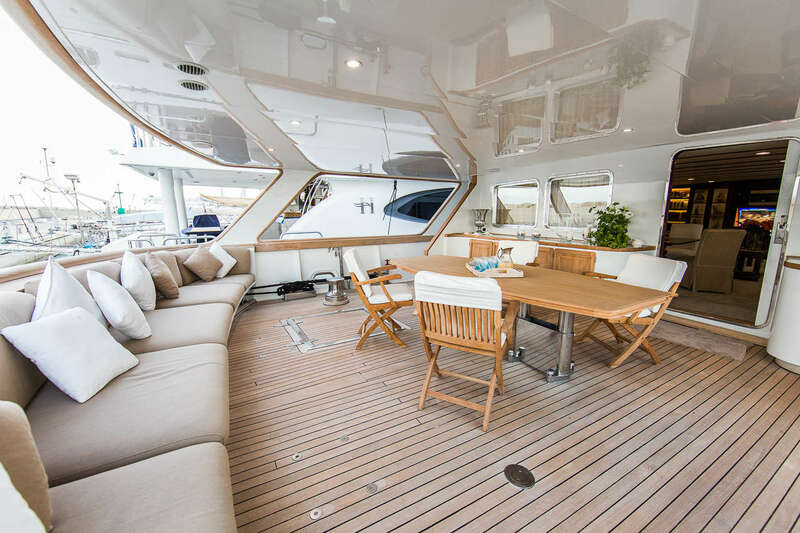 INDIA boasts a large sundeck complete with chaise lounges, full beam outdoor sofa, ample space for entertaining and a further alfresco dining table with optional Bimini cover. 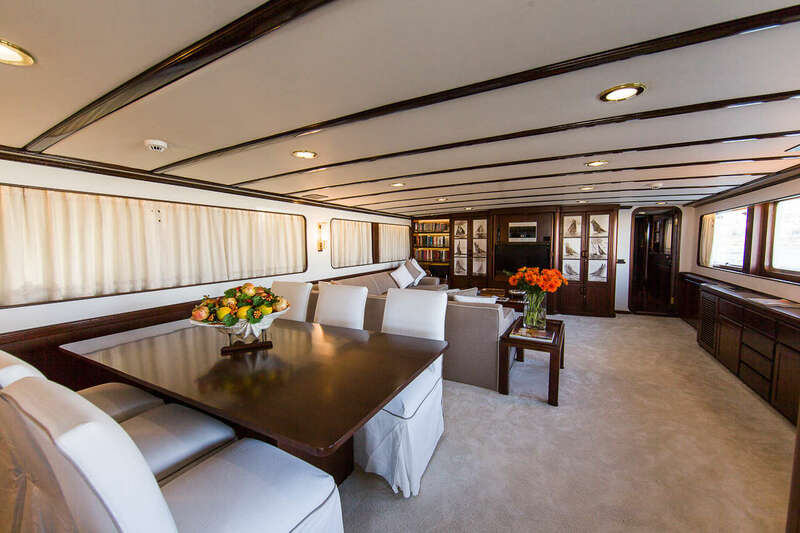 M/Y INDIA has a beam of 7.05 meters (23.1ft) and a draft of 2.77 meters (9.1ft). 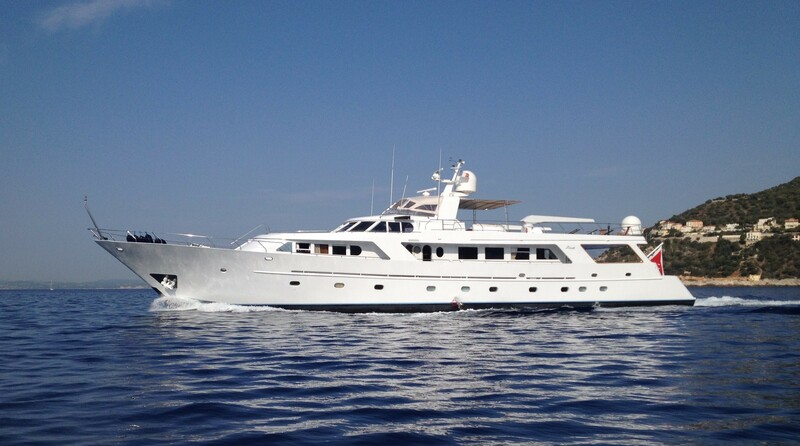 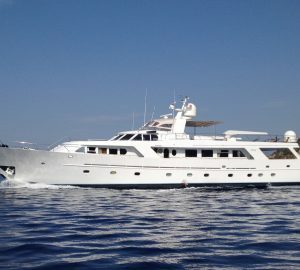 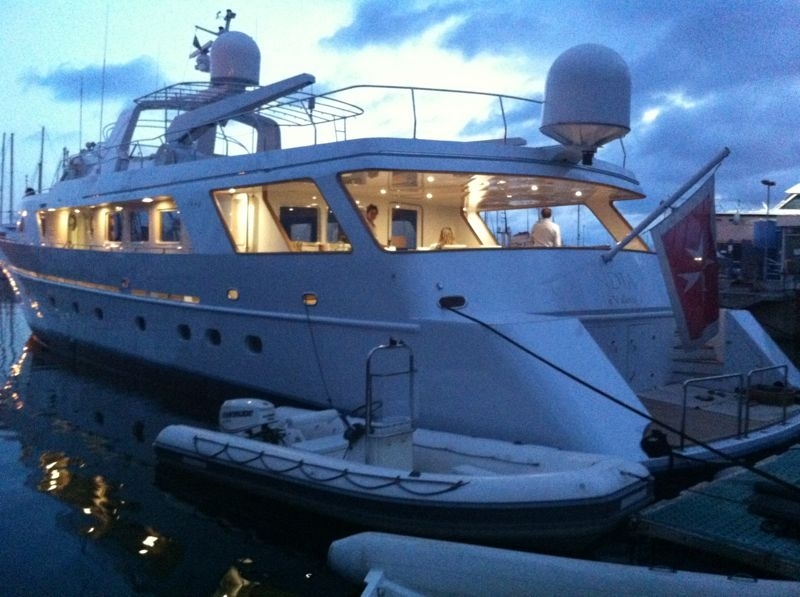 M/Y INDIA can accommodate up to charter 10 guests in 4 cabins. 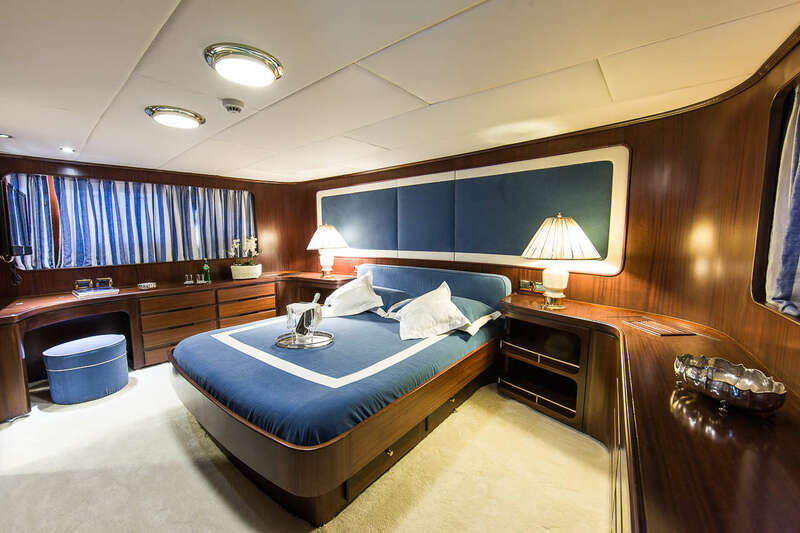 The master suite is on the main deck and forward with a walk around double bed, the VIP cabin is on the lower deck with a walk around double bed, a further 2 twin cabins with option Pullman berths are on the lower deck. 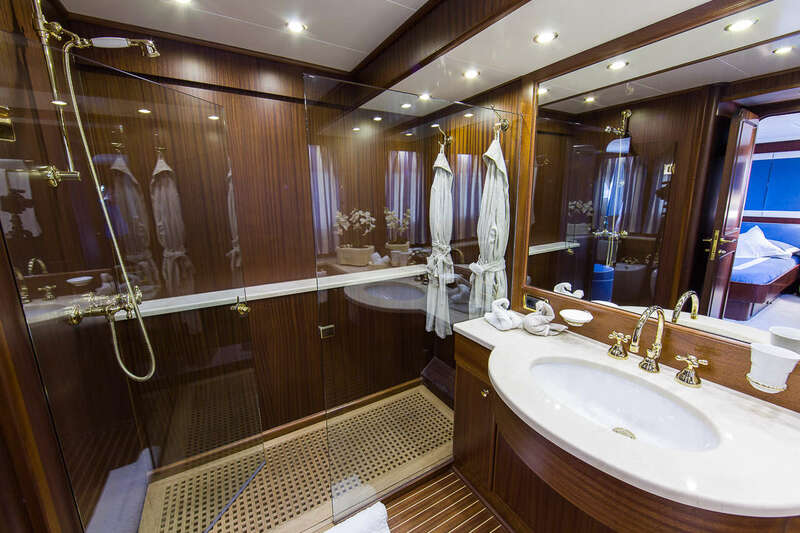 All cabins are beautifully finished with dark woods and warm lighting offering flat screen TV, Telephone and marble en-suite facilities. 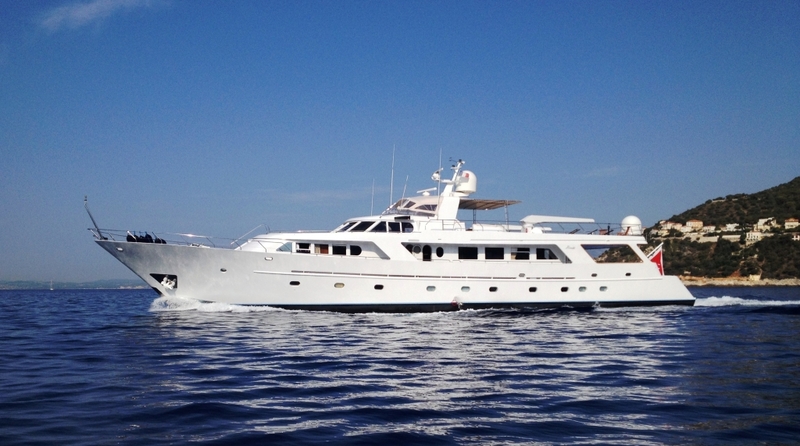 We do have available further amenity, owner and price information for the 35.4m/ 116ft yacht INDIA, so please enquire for more information.